This is a post about some designs I didn’t do myself but have a very close relation to; once a week I teach the two last courses of the design school Werkkunstschule Lübeck. Over the last weeks the students of the sixth course have shaped a fantastic teaser campaign for the upcoming 25th anniversary party of the school. 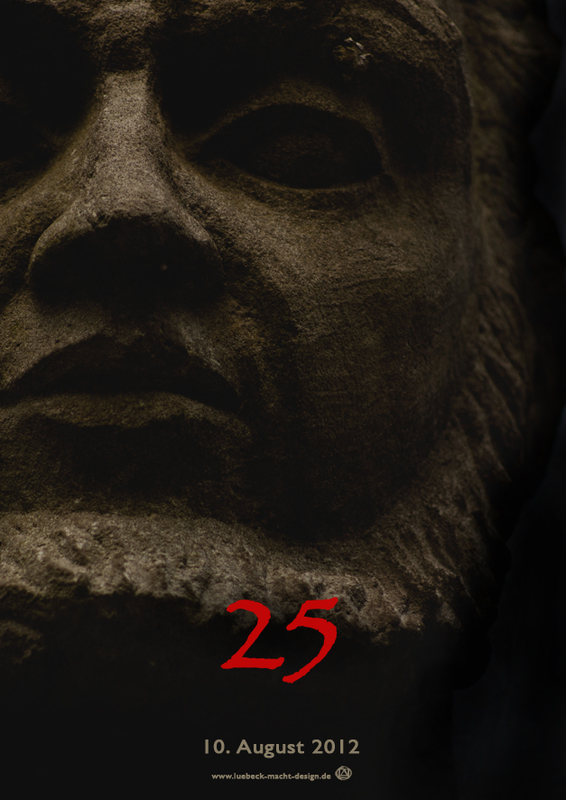 The completely different motives for the posters and flyers evoke it would be all about an upcoming movie release (just displaying the title 25, the date and the URL of a website). This tongue-in-cheek method is to get the attention of the target group (potential new students and culturally interested citizens) in a creative way, using local elements. At the same time the 7th course set up the website for it, which is also the school’s new student blog (in German). The page will equally showcase students’ artworks such as deal with general design-related topics – all this under the motto “Lübeck makes design”. The first entry was their very own video clip production in which they portray the everyday life as a student at the Werkkunstschule Lübeck. Have a look and see some very inspiring works!